The story of the Universe is written in the light that travels through it – light that we can capture. 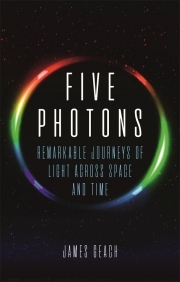 Nearly everything we know about how the Universe works on its grandest scale comes from the analysis of the light – photons – that may have travelled nearly fourteen billion years from the Big Bang itself to reach us. Have you ever wondered what is the most distant source of light we can see, or how a star shines? Did you know that black holes can blaze like cosmic beacons across intergalactic space, and that ancient radio waves might herald the ignition of the very first stars? Have you ever thought about what light really is? James Geach is a Royal Society University Research Fellow and Reader in Astrophysics at the Centre for Astrophysics Research at the University of Hertfordshire, specializing in observational cosmology and the formation and evolution of galaxies. 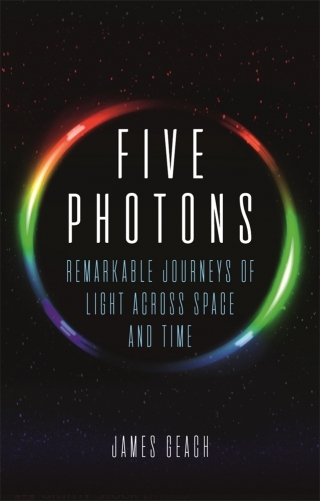 He is the author of Five Photons: Remarkable Journeys of Light Across Space and Time (Reaktion, 2018).